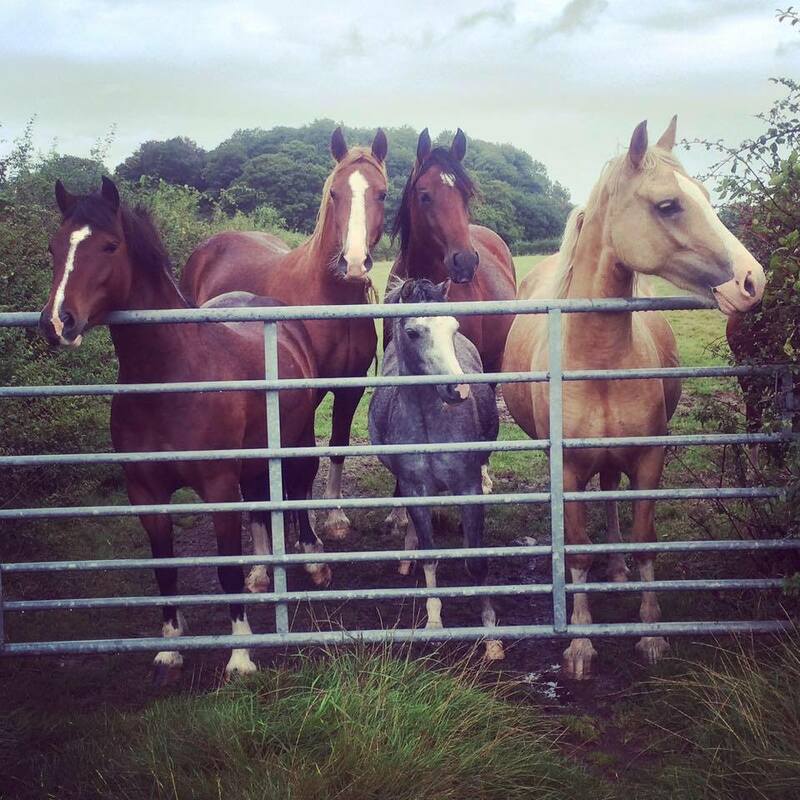 The whole family travelled to Builth for the Cob Sales Oct 2012, Kate and Mum had been on the look out for a section C foal for some time. After looking at every Section C Filly foal possible it was narrowed down to three. Finally we feel we purchased a filly that ticked all of our boxes, her name is Menai Choir Girl. 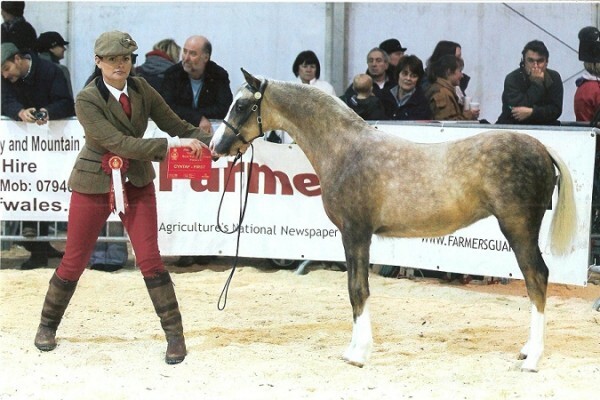 She is fantastically bred with Menai Fury on both sides and out of a daughter of the Hoys finalist Menai Calon Lan. Already named by her future rider Kate, "Britney" has a beautiful front and head, four socks and is a lovely, balanced mover, what more could you want! Since the sales "Britney" has been shown and was Champion Overall Section C at SWWPCA. Kate hopes to show her and have a bit of fun as a yearling in 2013. 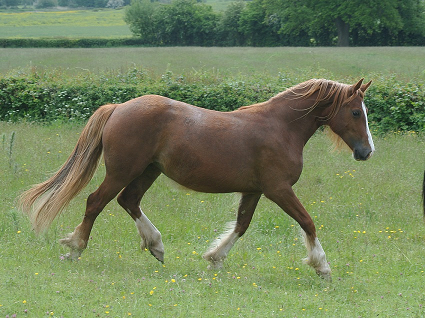 Honey is the first foal out of the successful mare, Sydenham Hebe (HOYS Winner, Olympia Finalist 2009). She is the clone of her even down to her odd fourth sock! I have been waiting for a foal out of Hebe since her retirement and she definitely has not disappointed me. 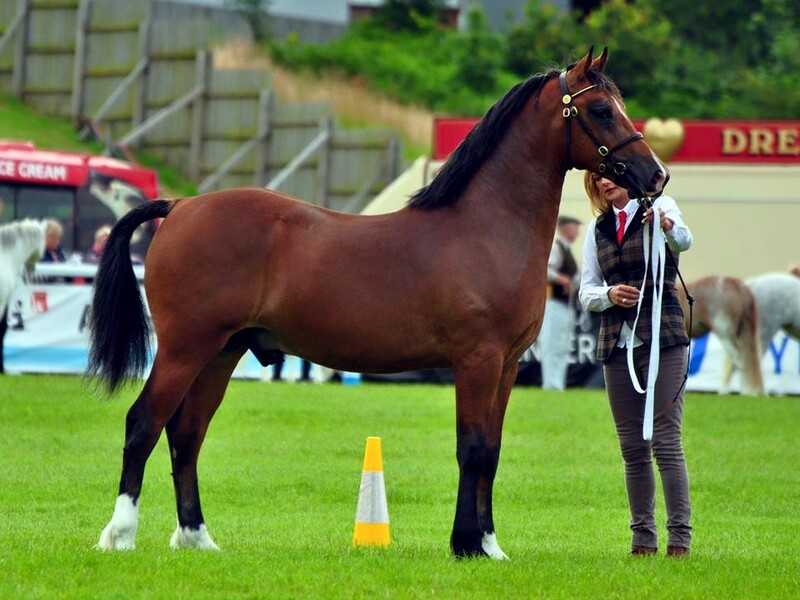 "Honey's" sire, Llanarth fiery Jack impressed me at Lampeter Stallion Show as a Three year old where he later went on to win his class. I fell in love with him and decided he was to be the first of Hebe's husbands! I am so glad I did as she has inherited his extravagant movement and look at me presence. We could not be more thrilled with her first foal and hope she can maintain the level of quality on all her future progeny. 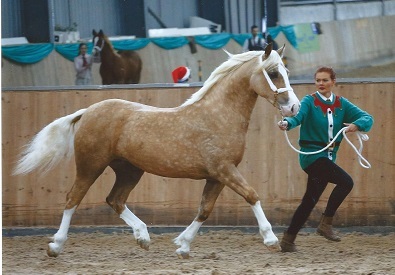 Honey was shown as a foal where she was awarded Overall Supreme Champion at SWWPCA. We are extremely excited about her future showing career and hope to compete her in-hand as a youngster before hopefully following in her mother's footsteps taking the ridden route. 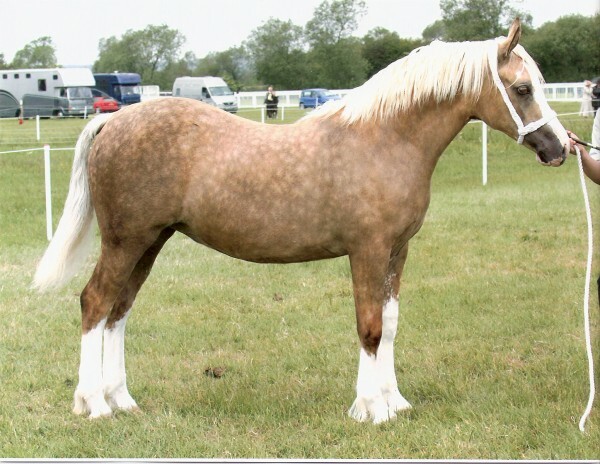 Honey's sire Llanarth Fiery Jack has qualified for the Cuddy 2013/ 2014 and 2015!! When Dad purchased the beautiful daughter out of Pennal Lady's Image from Dai Harris of the Pennal stud, he asked if she could be covered by the George Prince of Wales cup Winner, Pennal Brynmor. Dai kindly agreed and called it our "luck". Eleven months later Pennal Mia's Image produced the amazing Ringside Lucifer. She foaled at 9.30 in the morning, chestnut, four whites and blonde mane and tail, it's no wonder we call him Lucky Lucy! 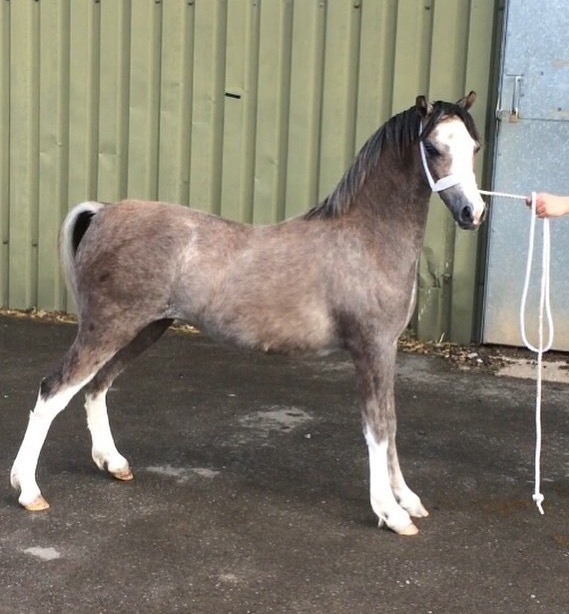 This one has real attitude, already he has been Colt foal champion at the Royal Welsh and Supreme of show as a foal and won himself a bronze and silver medal. Lucifer is now SOLD- Best of luck to his new owners! My Mother asked me what I would like for my 21st birthday present. 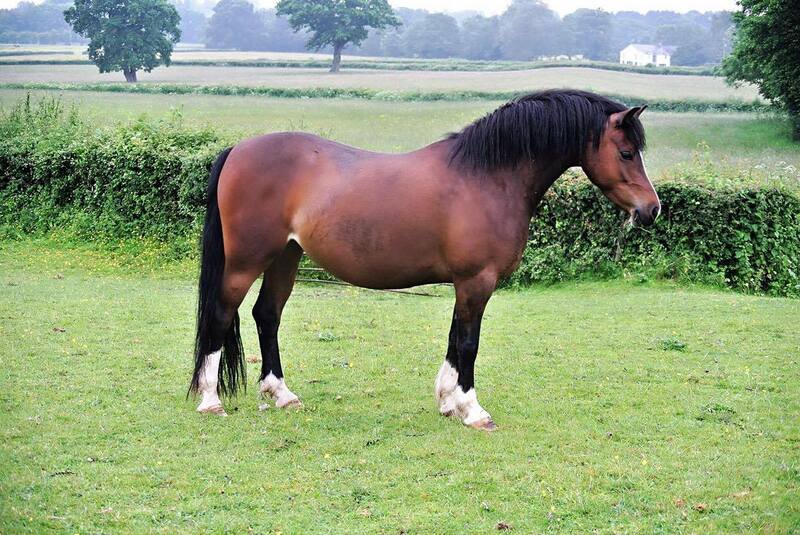 After much deliberation I decided it would be between a new car or a section B foal. I thought about it a lot in the few weeks leading up to my birthday and finally decided to look for a Section B. This would be something I could show and have a bit of fun with, since Hebe and our HOYS win, I had barely shown. As I've never been involved with in-hand before it seemed like a great opportunity to sink my teeth into a new project. Therefore the search was on. I visited many famous studs and travelled all around the country for the perfect pony. After many miles and multiple weekends away my Father had an epiphany, why dont we give Sandy (Thistledown Stud) a ring. I couldnt believe we had forgotten about him having borrowed Mynach Buccaneer that season. After a quick phone call we were off up the motorway again. We went into the first barn and immediately spotted a beautiful palomino which Sandy then told us was by Buccaneer. I gave my father " the look" and I could tell he was really impressed aswell. We were onto a great start. Whilst touring through his B's we came across another filly which was dun. She again was beautiful, but slightly smaller. I returned home with an extremely tough decision to make. Typical, I had gone months and then found two I loved in five minutes. It was a hard decision but finally I decided on Zumba as we all fell in love with Buccaneer over the season and this way we could keep a piece of him forever! Looking back I'm over the moon with my choice and couldn't imagine any other. 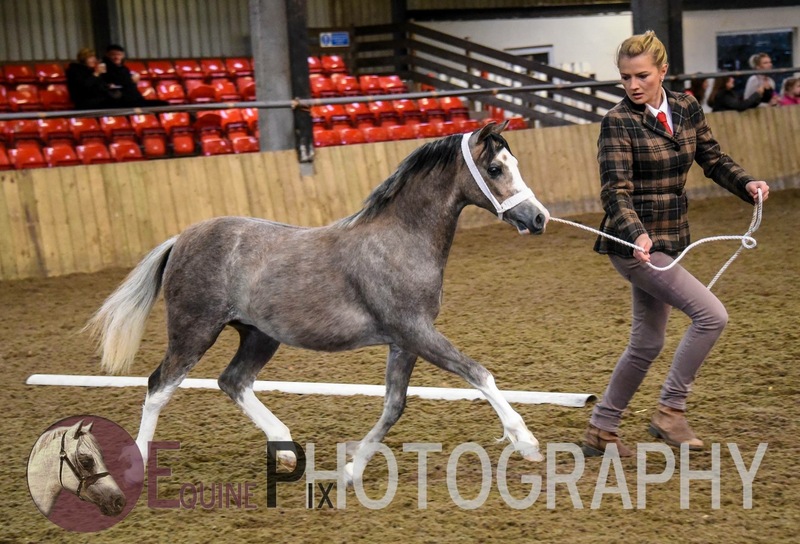 My instinct was reassured when Zumba and I went on to win the filly foal class at the Royal Welsh Winter Fair 2011! Not bad for two novices! "Damien" as we call her because of her gigantic eyes! Bought at the 2010 cob sales from Mr and Mrs Jones (Synod Stud). Unbeknown to us we would inherit another cob that day. We merely went for a day out. But after spotting this filly, all of us were captivated by her eyecatching colour, tremendous movement and real look at me attitude! To us she was one of the best fillys to pass through the sales for a long while. Yet, we had all agreed that at 28 horses at home already, did we really need another? As beautiful as she was we decided to leave it. We watched intently as she strode into the arena, all praying she would have a reserve and wouldn't make it. The bidding started and we waited with baited breath, out of nowhere Gareths hand rose, we couldnt believe it, he had started to bid! The next few moments were a blur, we were going for her? When her part in the ring was over, I pounced on Gareth, " I thought you were going to leave it" to which he replyed, " Are you mad I was always coming home with her" to which we all fell about laughing still in disbelief of his sneakiness! We had tremendous fun with Damien and she gave us a lovely colt foal. 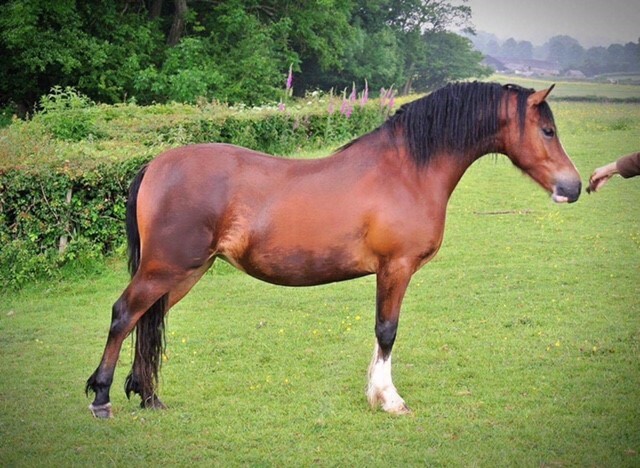 'Seren' was bought from Yvonne and Howell, Cadlanvalley Stud as a foal as a present for Alex, who picked her out at just 4 days old. 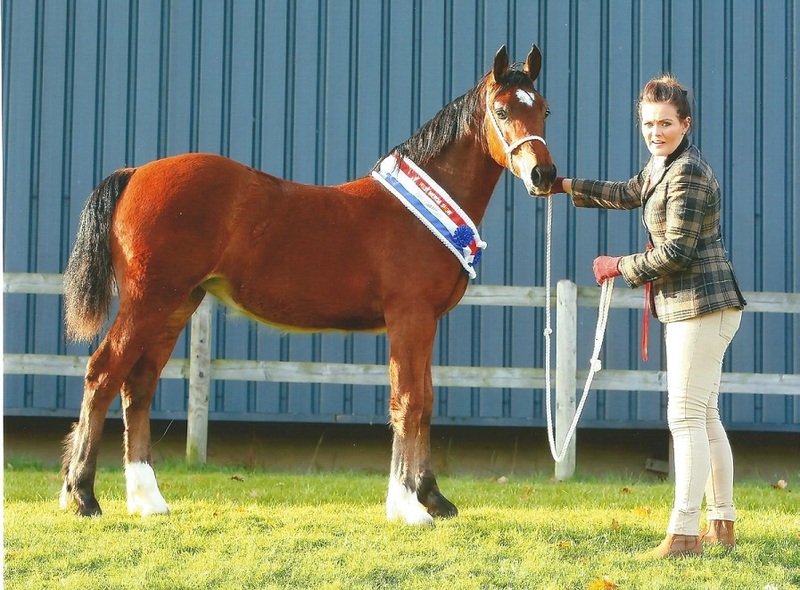 She has had a good start to her career winning a Bronze Medal Rosette as a foal, winning at Glamorgan WPCA, Overall Supreme Youngstock NPS Area 29 and coming 2nd to her sister, Cadlanvalley Miss Prim, at Glanusk. She will now be outed until her ridden career. 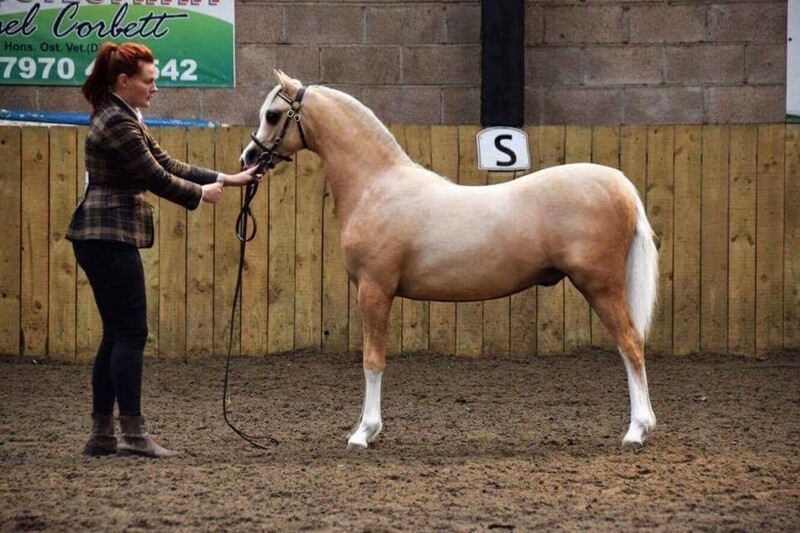 'Elsa' was bought from Stephanie Edwards of the London Stud after Dad actually judged her at Carmarthen WPCA Show, that day, he only gave her Reserve Supreme as it had been a long day and poor Elsa had thrown the towel in. We went on to watch her win Overall Supreme at Pencoed a week later and with a lot of nagging from mum, dad got on the phone and bought her as a christmas present. 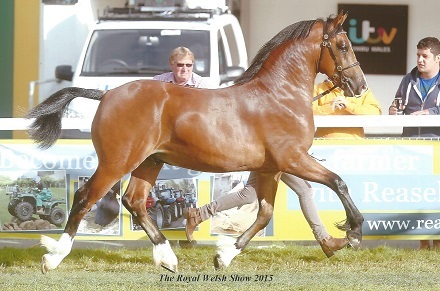 We then watched her and Paul Harper gain a very credible 2nd at Royal Welsh Winter Fair in very strong company. Once home, she went to one show with us where she was Youngstock Champion at West Mercia. She is now enjoying a semi retirement until her hopefully successful ridden career. 'Kissy' is out of one of our best mares, Waxwing Keepsake (HOYS/ Olympia Finalist & Royal Welsh Winner). She is the one we have always been waiting for Keepsake to pop out. She has been to minimal shows but with placings at Royal Welsh, Winter Fair, Lampeter and Champion at West Wales Extravaganza. She will hopefully be Kate's ridden replacement for Keepsake in a few years time. SOLD- Best of luck to the new owners! 'Spot' as we call her because she has a prominent dot right in the middle of her head, also came from Sandy Anderson of the Thistledown Stud. A few years ago we purchased a beautiful section b mare from Sandy but unfortunately things didn't work out. 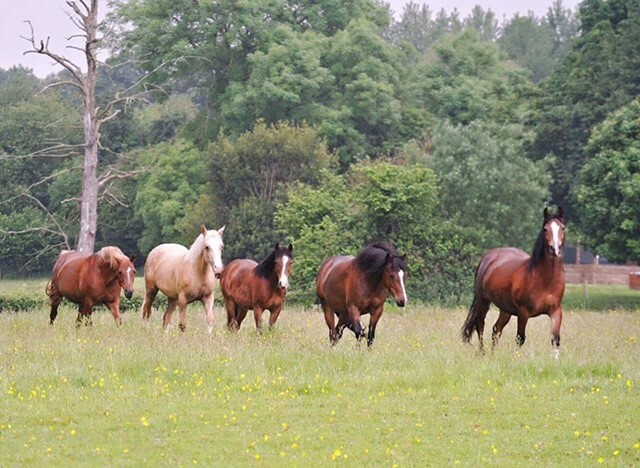 Very kindly, Sandy let us go to his yard and do a swap the B for one of his ponies. We decided to have a change and went for a Section A! After having the choice of all of his foals and Spot eventually made the cut. 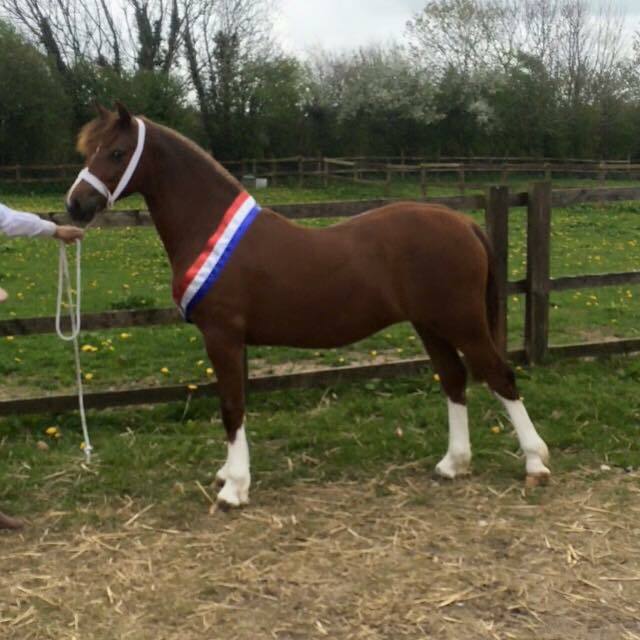 'Topsy' is out of one our best mares, Glanvyrnwy Rosalie (Bronze and Silver Medal Winner and 2nd in the Senior Mare class at Royal Welsh). She has taken after her mother with her beautiful head but has followed Prince with his structure and temperament. 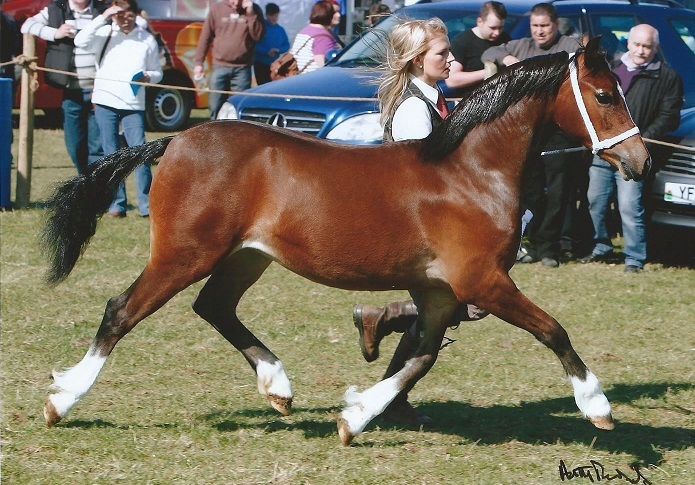 She went to one show as a foal and went Overall Supreme Foal at West Mercia. She will now be outed until her ridden career. 'Zorba' is out of a mare we bought from the Thorneyside Dispersal Sale, Gwernfythan Melody, by Dearnevalley Stud's Trevallion Troy. Unfortunately for Gareth, when he bought Melody he put her in Kate's name, therefore when Zorba hit the floor he was officially Kate's! It was too late- big mistake G! 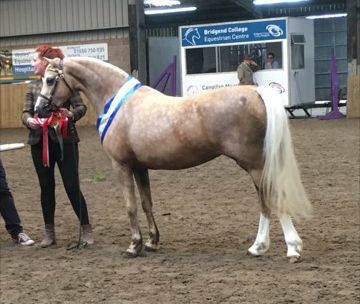 Kate and Zorba has created a serious bond, going from strength together winning at Glanusk Stallion Show, Youngstock Champion and Reserve Bronze medal (Glamorgan), 1st at Bath and West, 4th at Royal Welsh, Reserve Champion at Midlands Bronze Medal Show and 2nd at Winter Fair. He is now out with his lady friends but Kate cannot wait to get a saddle on his back! The fillies enjoying their summer out 2015 and 2017! From L-R. Menai Choir Girl, Ringside Honeysuckle, Thistledown Yellow Bird, Ringside Top Dollar and London Glamour Girl.